Preserving your mattress with a Mattress Protector is imperative as an unprotected mattress creates an optimal environment for the breeding of bacteria, dust mites and bed bugs. 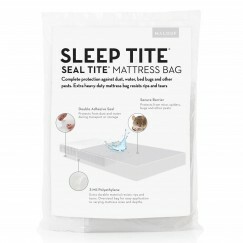 Malouf Sleep Tite Waterproof Mattress Protector products prevent the accumulation of moisture and skin flakes in your mattress instilling the confidence that everything beneath your sheets is clean. 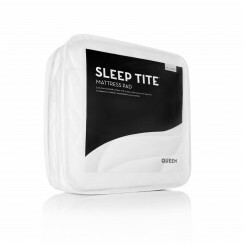 The protective material is 100% waterproof and will shield your mattress from all liquid stains. If a stain were to reach the mattress, most mattress manufacturer’s warranties are void. When a Malouf Sleep Title Mattress Protector is purchased with a new mattress, we will warranty the mattress against stains for 15 years.